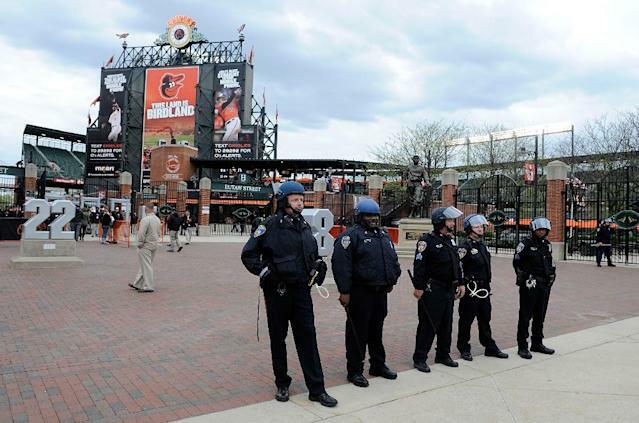 Baltimore (AFP) - The Baltimore Orioles will face the Chicago White Sox in an empty stadium on Wednesday after riots prompted officials to take what is believed to be the unprecedented step of ordering the game played behind closed doors. Major League Baseball Commissioner Rob Manfred said Tuesday the decision to shut fans out of the game was taken after discussions with the Orioles and city officials. "We believe that these decisions are in the best interests of fan safety and the deployment of city resources," Manfred said in a statement quoted on the MLB.com website. While European football clubs are often forced to play behind closed doors as punishment for crowd trouble, the Orioles decision is believed to be a first in the history of Major League Baseball. The Society for American Baseball Research (SABR) said it appeared the case was unique. "We have not been able to find any other instances of a Major League Baseball game being played without fans being allowed in the stands," said SABR web content editor Jacob Pomrenke in an email to AFP. The decision comes after games on Monday and Tuesday against the White Sox were postponed amid an explosion of violence following the funeral of a black man who died in police custody. 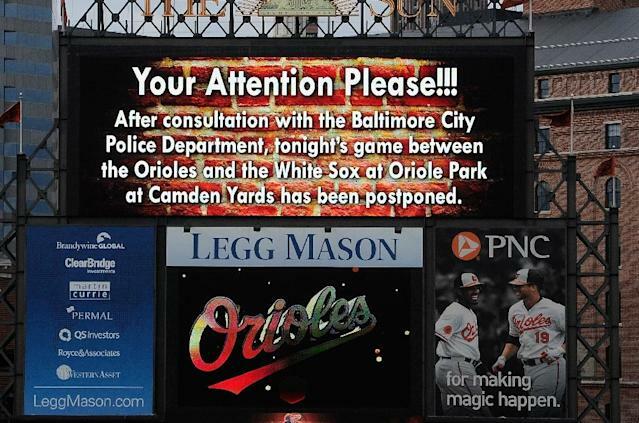 A statement from the Orioles said the postponed games would now be replayed as a double-header on May 28. The Orioles have also moved a scheduled three-game home series against the Tampa Bay Rays, set for May 1-3, to St Petersburg, Florida. It is extremely rare for civil unrest to disrupt sporting events in the United States. During the 1992 Los Angeles riots, triggered by the Rodney King police brutality case verdict, the Dodgers postponed a home series against the Montreal Expos. In 1967, the Orioles and the Detroit Tigers postponed a game because of riots in Detroit. 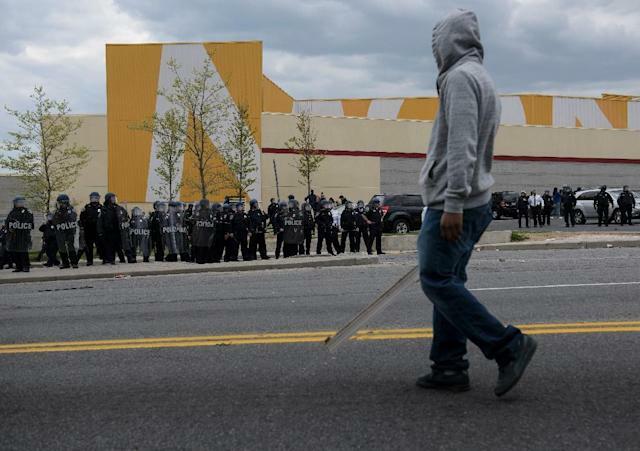 Thousands of military and police reinforcements have been deployed across Baltimore following a night of mayhem on Monday which saw stores looted, buildings burned, 20 police wounded and 235 suspects arrested.